President Obama has taken his fair share of flak for not following through on campaign promises--from renegotiating NAFTA to reforming immigration to ending Don’t Ask Don’t Tell. But there’s a slightly more obscure pledge--one he made at a March 2008 town hall meeting in Greensburg, Pennsylvania--that he may want to revisit. “I will seriously consider eliminating the penny,” then-candidate Obama said, in response to a voter who questioned the wisdom of producing coins so worthless that vending machines (and some stores) no longer accept them. At the time, a growing media mob of economists and their public allies were pointing their pitchforks at the penny. 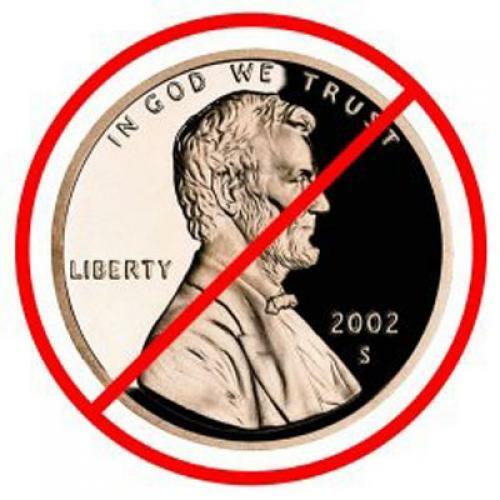 And their case was ironclad--or, rather, zinc-clad: The soaring price of the penny’s primary ingredient had pushed the mine-to-mint production cost of each cent from .97 cents in FY 2005 to 1.67 cents in FY 2007 (at an annual loss of $54 million--or “negative seignorage,” in coin-speak). But the penny’s prospects soon brightened, as the economic meltdown drove zinc prices down and led the U.S. Mint to produce fewer coins of all stripes (one-third as many pennies this year as in 2007). The coin was still a net loser for the American taxpayer, but a few million dollars in waste couldn’t spark the populist outrage that $700 billion in bank bailouts could. And so, the kill-the-penny zeitgeist died down. It’s time to revive it. While all eyes have been on gold prices in 2009 (up nearly 50%), zinc prices have more than doubled, bringing the unit cost of penny production up from 1.42 cents in FY 2008 to 1.62 cents in FY 2009 (and, at current prices, that cost will approach 2 cents in FY 2010). The twin specters of a weakened dollar and accelerated inflation also threaten to further sap the cent's, er, buying power. Meanwhile, the other (arguably stronger) case for abolishing the penny--saving time lost to fumbling cashiers--remains as solid as ever. Considering that pennies add 2 to 2.5 seconds to each cash transaction, economist Robert Whaples has calculated this country's penny-induced productivity loss at $300 million annually. Former Bush economic adviser Gregory Mankiw puts the figure at $1 billion, while anti-penny activist Jeff Gore argues that it’s actually in the neighborhood of $10 billion. That said, it will likely be some time before the penny goes the way of the half-cent (abolished in 1857). Fresh congressional kill-the-penny measures will, like previous stabs, meet the concerted opposition of K Street’s penny lobby--a coalition of zinc producers, coin collectors, and charities. And the few (outdated) polls on the question suggest that the vast majority of Americans would circle the wagons. Alas, the only recent changes to the penny have been aesthetic: The 2009 pennies featured four nifty illustrations commemorating the life of Lincoln, and, starting next year, a striped shield will permanently replace the image of the Lincoln memorial. It's fair to assume that coinage ranks fairly low on the list of presidential priorities, but taking on the penny might help Obama as he tries to sell his pricey agenda to a deficit-wary public by signaling that he literally takes every cent of taxpayer money seriously. And, because he pledged only to consider eliminating the penny, Obama could mull less radical measures, should he decide that he just can’t bear to see the penny go. There was, for example, the 2008 push by Congressman Zack Space (D-OH) to start making the coins out of steel, as was done temporarily during World War II. Or Obama could hand off the matter to economic adviser (penny czar?) Austan Goolsbee, who endorsed another idea in a 2007 New York Times op-ed: Just make each penny worth five cents!